Health care? No. Abortion? Yes. I’m a fence-straddler on this contentious topic. Not being a Christian, I have no religious issue with it. Like many people, abortion has been a part of my life. My first wife got pregnant unexpectedly. It was before we married. We were young and shocked. Rather quickly she found an abortion doctor. This was before Roe versus Wade. I, however, was troubled and nixed it. We married, and my life sailed in a direction it would have not sailed otherwise. I still feel the effects. An unexpected pregnancy for young people is like a 10-ton boulder rolling down the mountain straight at you. You can dodge it with an abortion. Or you can stand still, wide-eyed, and see what happens. I support abortion rights when done early, and the fetus is just a nub. Where it gets troubling is when it’s done later and the fetus is a formed child. Early, yes. Late, no. If you drag your feet making a decision, tough luck. Be decisive. There’s lots of hubbub about Planned Parenthood, which is an abortion provider, and nothing more. Its supporters say it’s about women’s health. That’s baloney. A reporter recently phoned Planned Parenthood facilities in various states to ask what prenatal services were provided. The answers were all the same. No prenatal services offered. 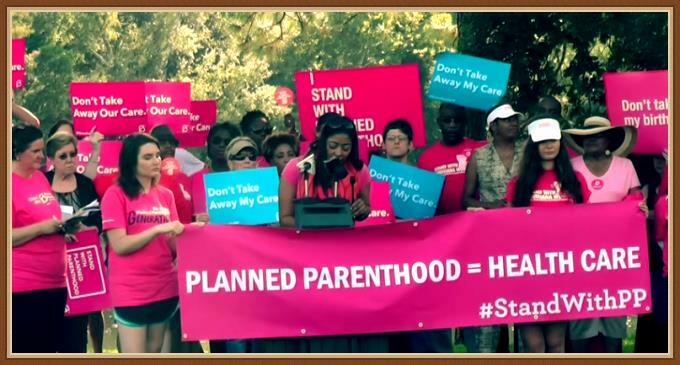 Planned Parenthood is an abortion mill, period. And given the strong emotions on the subject in many quarters, it should not be receiving taxpayer money. If you get pregnant unexpectedly, decide what you want to do with no dilly-dallying, and make an appointment with a doctor who provides the service. It’s legal. Don’t wait five months and do it. It’s grisly. Numerous undercover investigations have been done into Planned Parenthood, and what’s been discovered is quite disturbing. You’ll never see these reports in the socialist media like Huffpost, Mother Jones and The New York Times. Abortion should stay legal for early stage. Illegal in the late stage. * To outlaw it altogether will just return us to the days of blood-soaked butchery in back alleys. Outlawing all abortions is like outlawing drug use. It just creates worse problems. Use common sense. * Being an anti-government guy, I find even this troubling. 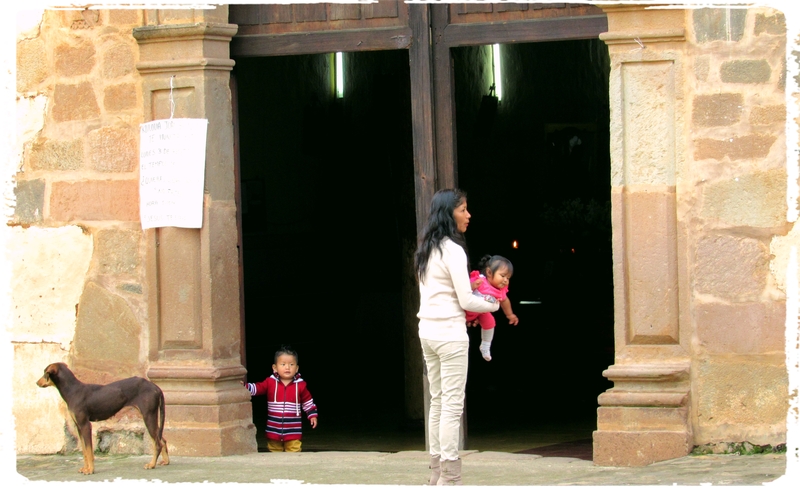 AS WE ENTERED the old church, I looked at the baby on the floor by the door, and my wife noticed the other one in the small casket up by the altar. We sat down, and listened to the recitation given by a woman seated somewhere among the crowd. We had not intended to crash a baby’s funeral. We were just on a Sunday afternoon stroll around the neighborhood plaza. We saw the church open and heard things coming through that big door. The baby the young woman is holding in the photo was on the floor, smiling at me. The young woman was seated by the door. The toddler was nearby. The dog was inside too. We entered and sat a few moments. Then we left and sat on a plaza bench across the street. Normally, when someone dies in the neighborhood, the church bell gongs for hours. We had heard nothing for this baby’s funeral, and I’m thinking the child died before it was Baptized, meaning all bets are off. Perhaps to Hell with it or simply Purgatory. Doesn’t seem right. Offhand, I don’t know how Catholics handle this, but I hope the baby’s getting a less-raw deal. There was no priest in sight. It appeared that the neighborhood was winging it for the child.